Have you ever considered filling up a bucket with your hard-earned money and throwing it out of your living room window? If you don’t have sunscreens on your windows, this is essentially what you’re doing. If you want to save money and live a more comfortable life, contact Stellar Sunscreens today and find out why we’ve been in business for more than 25 years. When you choose us to install your window solar screens, you will pay less for the installation, and we guarantee our work for as long as you live in your home. Sunscreens usually pay for themselves in one to two seasons and can cut your energy costs by up to one-half of what you currently pay. Best of all, your house is cooler, more comfortable, and you don’t have to feel guilty about cranking the air conditioning in the middle of July. This combined with our amazing customer service means you won’t have to worry about your sunscreens. Beat the heat with help from the respected sunscreen installation professionals at Stellar Sunscreens. Our reviews speak for themselves. At Stellar Sunscreens, we are proud to manufacture and install the highest quality sun screens and solar shades in a variety of colors, at the best prices. We utilize Textilene® and Phifer® screening materials for durability, with a lifetime warranty! With over two decades of experience in the sun screen industry, our experience makes us stand out in the Phoenix area. Custom sun screens offer a host of benefits including improving your A/C efficiency, lowering your utility bills, and enhancing the comfort and privacy of your home. Our custom-designed sun screens are precision crafted to fit specific windows and doors. 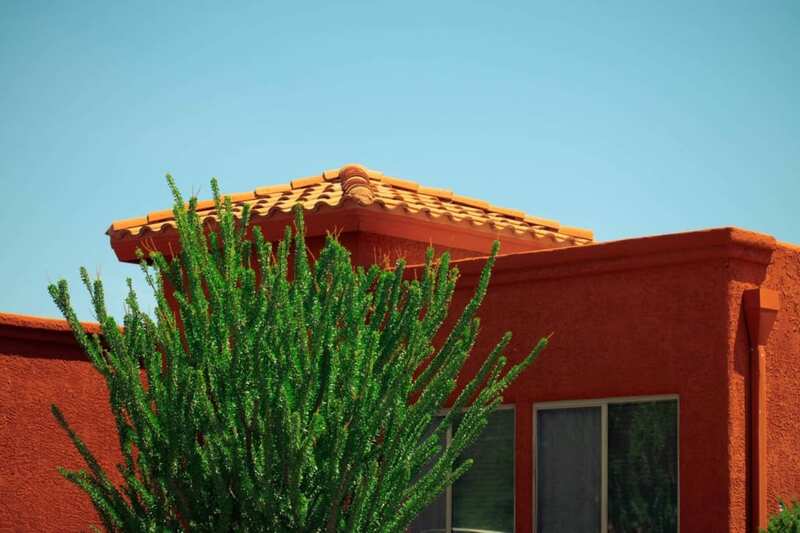 Using our sun screens you can reduce up to 90% of the heat generated by the intense Arizona sun. Click below to see examples of our work here in the Valley of the Sun. We have a high rating with the Better Business Bureau and thousands of happy customers. We know you’ll be satisfied with our energy-saving sun screens—but don’t just take our word for it! See what your friends and neighbors in city of Phoenix, Mesa, and surrounding areas, are saying about the benefits of installing sun screens from Stellar Sunscreens. Many of our customers refer others to our business, and are highly satisfied with the work they have received. Contact us today and save! Mention our website for a 10% discount on custom shades for your home. Solar Screens guaranteed for as long as you live in your home – Mention this page and get an additional 10% off! Sunscreens work by reflecting light and heat before it hits your window glass. Rooms with window sunscreens are usually 12 degrees cooler than rooms without them. Obviously, this makes for a far more comfortable living environment and significantly cuts down your energy consumption. You will pay less for your window sunscreen installation when you hire us, because our large-scale referral base allows us to keep costs at a minimum. We are also willing to work within your budget, so we will do the job whether you want to wrap the windows in one room or your entire house. All of our window sunscreens are of the highest quality, and our customer care is second to none. Check out our reviews for yourself, and then give us a call for a an estimate. We’ve already touched on some of the reasons why you should consider installing sunscreens, but there are a number of other benefits you may not have considered. What follows is a brief rundown of the many advantages sunscreens offer homeowners. Your initial estimate is FREE, so there is no risk in calling us today to find out more information. When you choose our company to install your sunscreens, we will provide you with the highest quality products available today in any color you choose. We only use Textilene® and Phifer® sunscreen products, each with a lifetime guarantee. Textilene® solar screens represent the industry standard by which all other products are measures. They are made of high quality polyester that is PVC coated to give you the most durable screen on the market. You can choose Textilene® screens with either 80% or 90% solar blockage, depending on your preference. This refers to the tightness of the weave, with our 90% screens having a tighter weave than our 80% screens. Due to this, the 90% screens block more glare and reduce more heat, but they may darken your interior more than you like. Outward visibility may also be better with 80% screens, but many people hardly notice any difference at all. Phifer® screens also come in 80% or 90% solar blockage styles. Phifer® is also known for their high-quality, durable products, that come in a wide range of colors. Phifer® is GREENGUARD and Microban Certified, meaning you get a product that meets world standards for minimal emission of volatile organic compounds into your home as well as extra protection against the possibility of mold, mildew, or stains on your screens. Both Phifer® and Textilene® screens are made right here in the US. No matter what you are looking for, Stellar Sunscreens can create it for you! We have the material, colors, and variety you are looking for! We hire only the best of the best in designers and technicians to serve our highly valued customer’s needs. We will help provide you with ideas and design options you may have never considered. We take all the guesswork out for you while inspiring our clients to discover unique sun screens that will set them apart from all the rest! You deserve only the best and this is exactly why Stellar Sunscreens offers only the very best custom solar screens. What color sun screens should I choose for my windows? From a purely scientific standpoint, your choice of sunscreen color has little effect on the heat-blocking qualities of the product. However, color definitely affects the look of your home and your view of the outside world from your inside your house. Aesthetic considerations are at the top of most homeowners list of priorities, because you don’t want your windows to distract from the overall appearance of your home. Contrary to what you may think, darker window screen colors provide more outward visibility than lighter shades. Popular choices that often match home colors in Phoenix include black, bronze, and brown. Darker shades further reduce glare, which is why outward visibility is improved. As an example, consider how everything looks when you wear sunglasses and you’ll have a pretty good idea of this effect. Lighter colored shades draw the focus of your eye, so visibility is somewhat reduced, although the effect is negligible. Ultimately, your choice of color is entirely up to you. If you have any questions, we are happy to answer them so that you can choose the perfect window solar screen color for your home. One of the biggest motivators for deciding to install solar screens is saving money. One thing is certain, energy costs aren’t getting any cheaper, so it makes good sense to reduce your energy use in whatever way you can. When you choose our company to install your solar screens, we guarantee them for the entire time you live in that home. Obviously, the longer you live in your current home, the more savings you’ll garner from your initial investment. Here in Phoenix, most people will recoup their sunscreen investment in just one or two summer seasons, which adds up to substantial savings with every passing year. Approximately 65% of the heat that enters your home comes through your windows. Sunscreens reflect sunlight and absorb heat, blocking up to 90% of this light, which means you don’t have to spend as much money to cool your home. Estimates on the amount of savings you’ll personally experience depend on a variety of factors, like how many windows are in your home, how cool you keep your interior, the height of your ceilings, and whether you choose 80% or 90% sun shades. Some of our customers have saved as much as 50% on their monthly electric bill, but around 34% is more common. Even at that lower rate, your sun screens will still take only two years to pay for themselves, so choosing to spend that money up front is a no-brainer. The relentless ultraviolet radiation from the Phoenix sun can lay waste to just about anything. As the sun shines through your windows, UV light falls on items within your home. If you’ve ever owned a table or desk that received partial sunlight through a window, then you’ve seen how quickly sunlight can ruin the finish on a piece of furniture. The same holds true for curtains, artwork, carpets, hardwood floors, and just about anything else in your home that stands within the sun’s rays. UV rays essentially bleach the furnishings in its path causing discoloration and fading. Blocking the harsh UV rays entering your home helps to protect the finish and colors of your furnishings near windows. This is yet another way that installing solar screens saves you money in the long-term. Solar screens can also help protect your eyes by reducing the amount of UV rays and glare when viewing outside. Long exposure to UV rays has been shown to cause damage to our eyes. Remember, the sun screens create a similar effect to having sunglasses on when viewing through the screen. With the added bonus of decreasing glare, you will have less difficulty trying to view your tv or other electronic devices that may be facing your windows as well as help ease eye strain when reading a book. Stellar Sunscreens offers beautiful window sun screens which not only protect your home from higher energy costs but from unwelcome attention as well. While protecting your home or office interior from unsightly fading on fabrics and furnishings, they also provide a true sense of privacy from neighbors or the casual observation of passers-by, without creating that boxed in feeling. Your family and your clients will experience greater confidence and freedom. Your home’s interior will experience a longer life, and be protected from the damaging effects of direct sunlight. There is no need to sacrifice beauty and design to achieve that safe and secure feeling you and your family or business are looking for. At Stellar Sunscreens, we can provide you with one way to beautifully achieve more privacy. Solar sun screens offer increased privacy for your home or business. Whether you are a Business, Church, School or Homeowner, you can present a welcoming presence without discouraging visitors. Let them see your beautiful home, without seeing your valuables. You can encourage new business, newcomers, and neighbors to stop in and meet you simply by creating the look of a welcoming presence. Whether you live in a large neighborhood, a close-knit community, or have a downtown office, you can have a cost-effective way to increase privacy that you have been looking for. Provide your clients and family with the feeling of ease and the comfort of knowing prying eyes, or curious window watchers, will only be able to admire your home or establishment exterior as they pass by. Leaving you free to conduct business, and the lifestyle your family enjoys. There are a number of companies offering solar screen installation in the area, so why should you choose Stellar Sunscreens? Please consider the following. We’ve been in business since 1992 – That translates to 25 years of dependable service in Phoenix. You don’t last for more than two decades in any business unless you know what you’re doing, so it’s obvious that we are at the top of our game. We offer lower prices than most sunscreen installation companies – Our longevity has another advantage – referrals. We’ve performed screen installation on countless homes over our 25 year history, and many of our loyal customers have referred us to their friends and family. This has led to enough consistent business that we are able to keep our prices below the industry average. In other words, you save money simply because we are good at what we do. We take on any size job – If your budget doesn’t warrant installing screens on every window in your home, let us focus on rooms that get the most use. We will even perform a screen installation on a single room if that is your preference. Your estimate is entirely FREE – It won’t cost you a dime to find out how much your custom shades and installation will cost. Call us up today and start saving money every month on your electric bill. Prompt service and quick turnaround – We know that your time is important. We keep our appointments, are always on time, and we get your job done in a quick and timely manner. You don’t last 25 years in the sunscreen business unless you value your customer’s time. Unmatched customer care – We will provide you with the personal care and attention you deserve, regardless of the size of the job. If you have questions, we are ready to answer them. And if there’s ever any problem with your sun shades, simply give us a call and we will address it immediately. Lifetime guarantee – As long as you live at the home in which we perform your solar screen installation, we guarantee the product. Mention this website and get an additional 10% off your sunscreens and installation – This is just another way we show that we value our customers. At Stellar Sunscreens (formerly All Pro Sun Screens). we understand today’s need for increased privacy, desire for savings, and improving a home’s value. We understand that beautiful, customized materials, and screens that are custom fit to your windows are important to our clients. So we combine all these elements to meet our very high demands for quality. After all, your satisfaction is our highest priority! This is why we work locally, with dedicated technicians, and satisfaction guarantees. With two and a half decades of experience under our belt, there are countless customers who have publicly shared their opinions concerning our company. You can find many of these online, and we invite you to see them for yourself. We also have a stellar rating with the Better Business Bureau, and have received hundreds of thank you compliments from happy homeowners. We are grateful to have quality customers who have referred us to their friends and family members over the years. This positive word-of-mouth is the lifeblood of our family business, and it’s the main reason we are able to keep our prices so low. We pride ourselves on our high quality, personalized customer service that is certainly out of this world. We take our time to get to know your expectations and goals for your solar screens to give you the best products and most aesthetically pleasing sun screens to match your homes’ exterior. We provide quick and professional installation to meet your needs. Our knowledgeable and friendly staff will leave you feeling confident in your selection of solar screen, while answering all the questions you may have. With our lifetime guarantee, customer service that exceeds expectations, and the use of the most durable screening materials, you can rest assured that you are getting high quality, long lasting solar screens that will decrease your energy cost and increase the value of your home. Are you ready to add comfort to your home and save money doing it? Give us a call today for a free estimate. We are eager to show you why we are the most trusted sunscreen installation company working in the region.